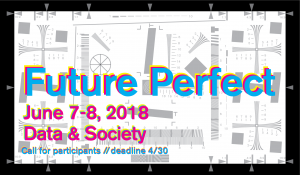 Future Perfect is an annual workshop and conference dedicated to different approaches to understanding, living in, and challenging dominant narratives of speculative fiction in a time where powerful actors in technology and politics treat the future like a foregone conclusion. As a verb tense, future perfect speaks to a point in time in which an event will already have happened: the robots will have taken our jobs; America will have already been made great (again); sea level rise will have destroyed major coastal cities; we will already be immortals living on Mars. Whether viewing the future as a subject of trepidation or a site of inevitable triumph, powerful institutions that view the world in this future perfect tension often fail to see alternative futures latent in the present, and rarely have answers for how one lives after these imagined tipping points of devastation, profit–or, in many cases, both. Speculation is a powerful weapon, deployed as handily in war games and high finance as it is by fiction writers and revolutionaries. 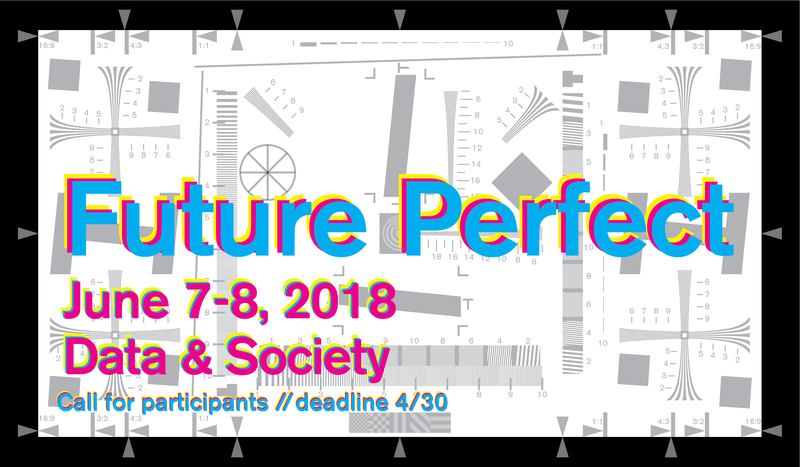 Future Perfect invites participants from a range of speculative and concrete disciplines to share their approaches to undermining hegemonic futures and constructing alternatives. Ruha Benjamin speaking at Future Perfect 2017 at Data & Society. Photo: Elisabeth Smolarz. 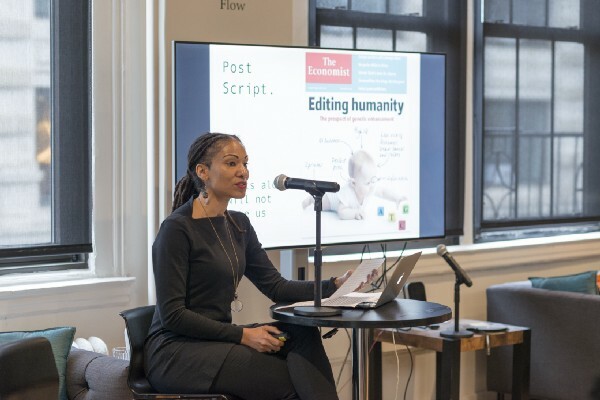 The centerpiece of this year’s Future Perfect conference are three commissioned speculative works by Ruha Benjamin (associate professor, Princeton University), Lou Cornum (editor, The New Inquiry and doctoral student at the CUNY Graduate Center), and Rose Eveleth (journalist and producer of the podcast Flash Forward). Future Perfect was created and is curated by Data & Society INFRA Lead Ingrid Burrington. Covering a wide range of subject matter from (stem cell research, police brutality, automation in elder care, the poetics and possibilities of indigenous postnuclear solidarity), these works challenge readers to imagine alternatives to established foregone futures and consider their own agency (or, at times, lack thereof) in constructing alternative futures. In addition to presentations of these commissioned projects, Future Perfect will have space for and seeks out lightning talks, discussion sessions, games, screenings, and demos. If you are interested, please submit your information here. As an example of what we seek, a writeup of 2017’s conference is available here, and video of the 2017 livestream is available here. The workshop and conference will be held at Data & Society’s offices. While space is extremely limited, the talks and outputs will be recorded and livestreamed, and the commissioned projects will be made available later in a limited-run printed volume.